During the summer of 2017, Darius Riley took photographs of his hometown of East Palo Alta, California. E.P.A. is one of the last cities in the Bay Area with affordable housing. In contrast, it is surrounded by some of the wealthiest communities in the United States. These poignant images present to the viewer Darius’s wish to capture the E.P.A. of his youth before it, too, changes. 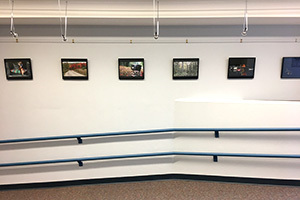 The Ramp Gallery, on the basement level of Hawthorne-Longfellow Library, features student-curated exhibits of student work. 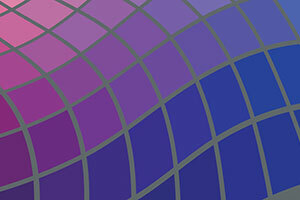 Join LaCasce Family Professor of Natural Sciences Stephen G. Naculich for a discussion of the science of color. Presented as part of the Library’s exhibit talk series for the Spring 2018 exhibition On A Different Wavelength: A Celebration of Color in Books. 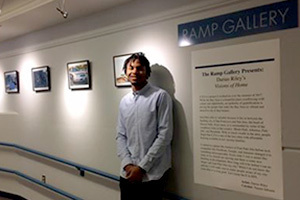 Professor Erin Johnson’s Introduction to Digital Media class partnered with the Ramp Gallery to exhibit student work created over the course of the fall semester. In the class, students gain the technical and conceptual skills, as well as the art historical background, necessary to create video art. Every few weeks two different videos, accompanied by images from the videos, will be displayed from class assignments. The first assignment required students to make videos without any voice-over, while the second assignment required it. The third assignment is the outcome of a project based in Special Collections and Archives. 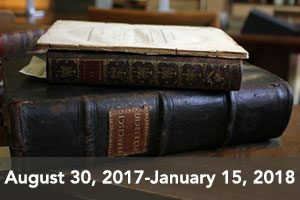 Special Collections Education and Outreach Librarian Marieke Van Der Steenhoven and Prof. Johnson created a matchmaking quiz for students to fill out and find their “matching” manuscripts in the archives. Students then dug into their manuscripts, looks at drawings, read diaries, and researched photographs. These manuscripts served as the starting point for their subsequent experimental documentaries and short narrative works. 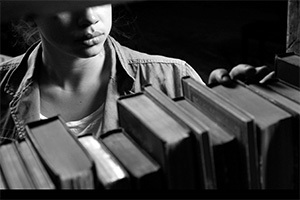 The fourth assignment uses “Love and Information” as a theme. Prof. Johnson is thankful to the Ramp Gallery’s student curator Naomi Jabouin for her incredible work, Academic Technology Consultant Paul Benham for assisting students throughout their projects, Academic Multimedia Producer & Consultant Kevin Travers for green screen, lighting, and crane demos, Art Librarian Anne Haas for her encouragement, and Marieke Van Der Steenhoven for her collaboration. 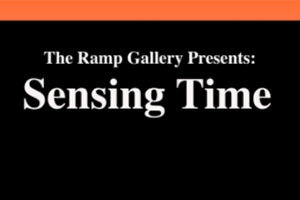 The Ramp Gallery on the basement level of Hawthorne-Longfellow Library presents the student-curated exhibit of student work, Sensing Time: Videos from Introduction to Digital Media. This is a semester-long screening of experimental video artworks.